Is there a possible to add a frame to a form (round corners will be just perfect). 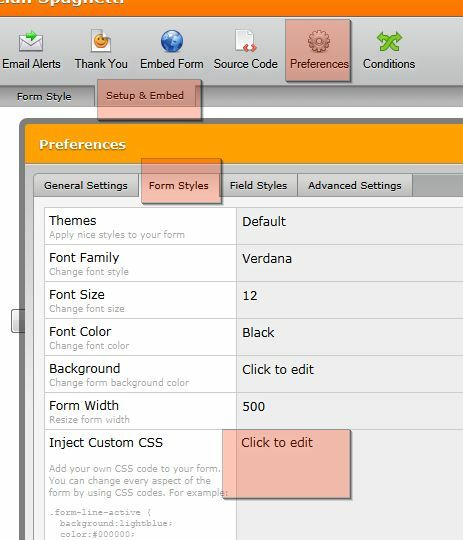 You would need to inject custom css to your form to achieve round corners for your form's border. Take a look at this sample form I created to demonstrate the capabilities of custom css. To learn more about rounded corner borders, please click here. Hope this helps. Let me know if you need more help with this topic. Thank you! How can I eliminate the space between the frame and the first element of the form. I think the problem is in the free HTML element. I may need to decrease the padding of the HTML element. We're glad you've sorted your issues already. If you have any other questions in the future, please feel free to contact us again. Our team will be more than happy to assist you with anything.